Supplier and manufacturer of woven wire cloth product lines including industrial wire cloth, screenpacs, micronic grade filter cloth and laminated filter plate. Mining suppliers and contractors for open cut and underground mining. Offers the WAG200B Grout Pump, the first of its kind offering a warranty. Offers mining and tunneling equipment, manufactures mining equipment. Mining supply and erosion control. Overseas agents required. Mining equipment including new, used and rebuilt. We hire and buy Mining Equipment. Extensive catalogue of mining equipment on web-site. Based in Brisbane, Australia. International metal mining company, engaged in the exploration, development and mining of base and precious metals. Comprehensive resource for mining related links. Includes mining companies, mutual funds, newsletters, and prospecting. Mining Journals information portal gives you access to mining industry information including that from publishers of information for the international mining, metals and minerals industry. Makes, sells new (Terex O&K), used (Liebherr, O&K, O&K Mining) large hydraulic mining excavators (backhoe, front shovel). Was O&K Mining GmbH, merged with Terex Corp., 1998. English, Deutsch, EspaÃƒÆ’Ã‚Â±ol, PortuguÃƒÆ’Ã‚Âªs, FranÃƒÆ’Ã‚Â§ais, Russian. Dortmund, Germany. UME is facilitated with Staff, Mining Cable Inventory and Mining Test Equipment to get your Job done. Our services are well recognized. A gold mining company with gold mining operations in Canadas North. Manufacturer of industrial mining equipment including coal mining buggies, personnel carriers, coal samplers, mining lasers, mantrips, and burden carrier equipment. Association of mining companies extracting uranium for U.S. nuclear power plants. Includes information about ore bodies, underground and open-pit mining, solution mining, processing and links to companies. Bradys Mining is a manufacturer and distributor designs and manufactures High Density Ceramic Drill Bits, Couplings, Adapters and Drill Steel for all underground mining operations. Diamcor Mining Inc. a Canadian Junior diamond mining company with properties in South Africa. Offering the international mining, railroads, pipelines and civil construction industries cost effective services including drilling, mining, blasting, construction, supply of trades personnel and specialized drilling applications. International Mining Technologies specialises in designing technical products for the Mining Industry. Our products include Proximity Protection equipment, safety products and detection systems. Manufacturer of mining safety lamps, torches and other mining related equipment. Mineral mining corperation. Includes project and product information. Mining and industrial suppliers, products and service directory. Suppliers of products and services to the surface mining industry. Manufacturer of mining safety lamps, torches and other mining related equipment from India. Covers surface and underground mining. Includes subscription information. If the business hours of W.S. Tyler in may vary on holidays like Valentine’s Day, Washington’s Birthday, St. Patrick’s Day, Easter, Easter eve and Mother’s day. We display standard opening hours and price ranges in our profile site. We recommend to check out wstyler.com/ for further information. 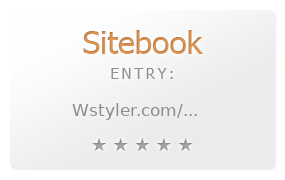 You can also search for Alternatives for wstyler.com/ on our Review Site Sitebook.org All trademarks are the property of their respective owners. If we should delete this entry, please send us a short E-Mail.